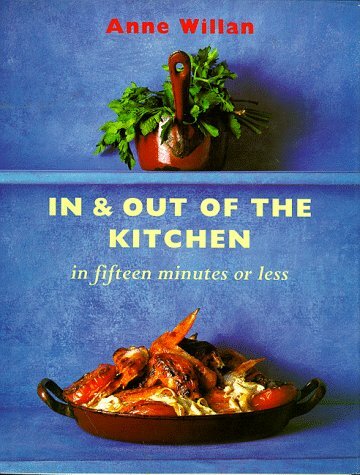 This recipe book offers useful advice on how to produce good food and yet spend no more than 15 minutes in the kitchen. Some can be prepared, cooked and served in even less time. The book operates on two levels: the full one, giving descriptions of kitchen techniques; and the rapid "recap" one. There are chapters on starters and snacks, speedy salads, light lunches or supper dishes and main courses that are meals in themselves and which need no accompaniments. Some of the food can be prepared, cooked and served in less than 15 minutes. There is also an array of desserts. Some examples of the food described here are: Red Wine Gazpacho; Melon Salad with Balsamic Vinegar; Pork Chops with Onion Confit; Honey Baked Apples with Chocolate; and Breton Butter Cake. The author founded L'Ecole de Cuisine La Varenne in Paris in 1975. Other books she has written are "The Reader's Digest Complete Guide to Cookery" and the "Look and Cook" series.